Our highly-successful AT&SF All-Stars Program has returned for 2019. Using this program, we will motivate our riders to spend their money here in Albuquerque, stimulating our local economy and highlighting our exceptional local businesses. 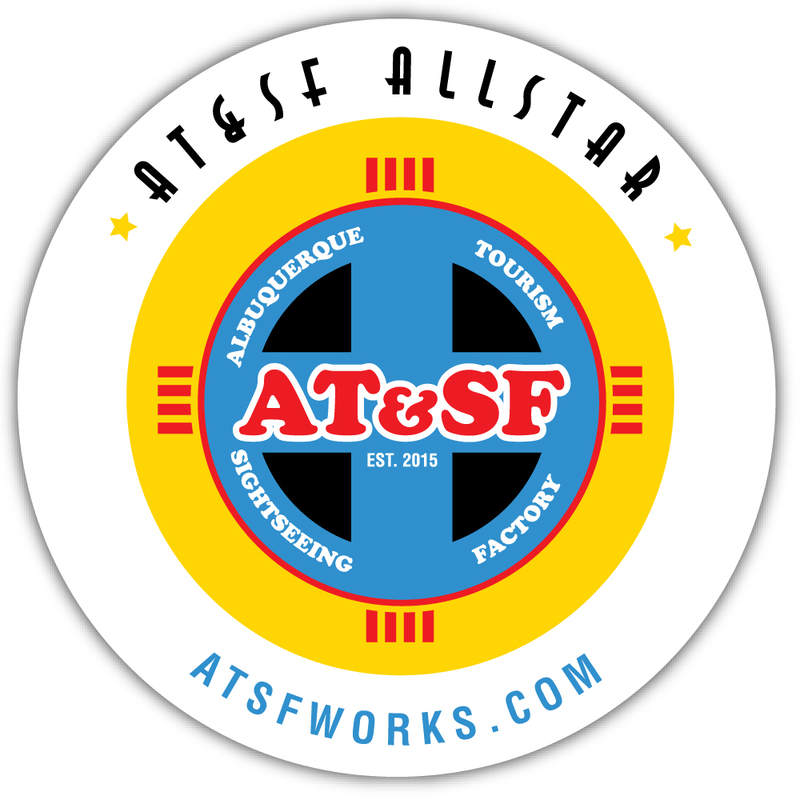 We have created window decals that will distinguish a business as an "AT&SF All-Star." Our riders will be directed to be on the lookout for these decals with the incentive that participating businesses will offer them discounts or incentives. These discounts could be, for example: 10% off, a free item or a complimentary appetizer/dessert. Prominently display the AT&SF All-Star decal in the front window of your business. Our customers will be looking specifically for this decal. It is very important that it is highly visible. Offer a discount/incentive to all Albuquerque Tourism & Sightseeing Factory (AT&SF) customers (minimum 10% if employing a discount). The discount begins April 1, 2019 and must be honored until March 31, 2019. Participating businesses must give AT&SF $200* in payment and also a minimum of $200* worth of merchandise/gift cards/certificates to be used to verbally promote your business on select tours. These prizes are highly desired by guests and are great promotion for your business. *Not required for advertisers spending $500 or more with AT&SF. Merchandise giveaways are not required at this level but they are highly encouraged to further promote your business. Click here to see the list of current AT&SF All-Star Businesses. Select information you enter below will be displayed on abqtrolley.com, albucreepy.com, dukecitypedaler.com, albu-quirky.com, atsfworks.com and in the AT&SF All-Stars brochure received by all tour guests. Participating businesses must give ABQ Trolley Co. $200 in payment and also a minimum of $200 worth of merchandise/gift cards/certificates to be used to verbally promote your business on select tours. AT&SF All-Star window decals will be delivered after receipt of payment and collection of merchandise. Please contact us with any questions. NOTE: The AT&SF All-Stars Program is not the same as Trolley Advertising. 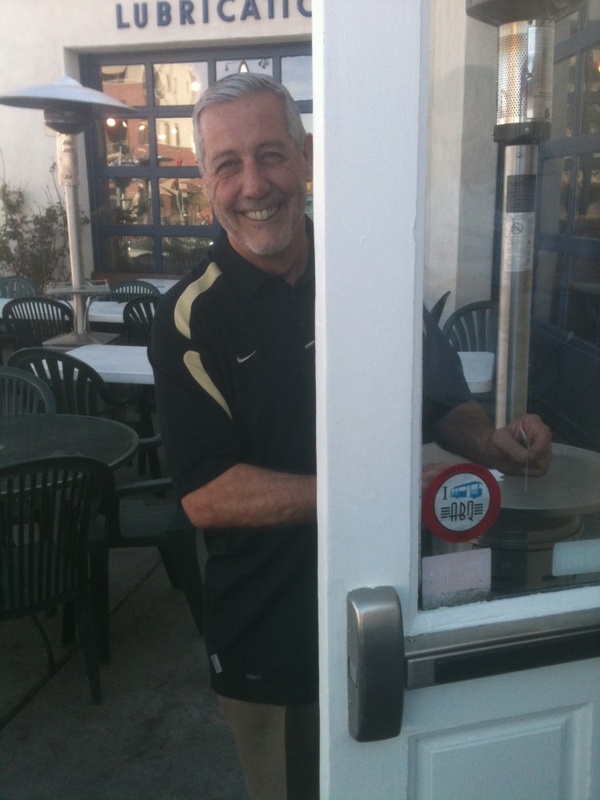 Photos: (left) Dennis Bonfantine, owner of Kelly's Brew Pub & Restaurant, proudly displays his 2011 Trolley-Friendly decal in the store front window. 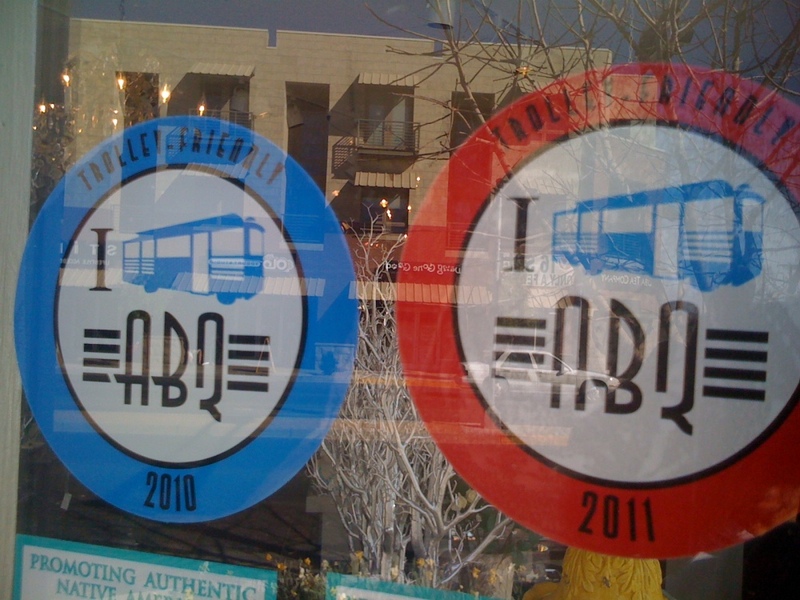 (Centert) 2010 & 2011 Trolley-Friendly window decals displayed at Gertrude Zachary Jewelry & Antiques in Nob Hill. 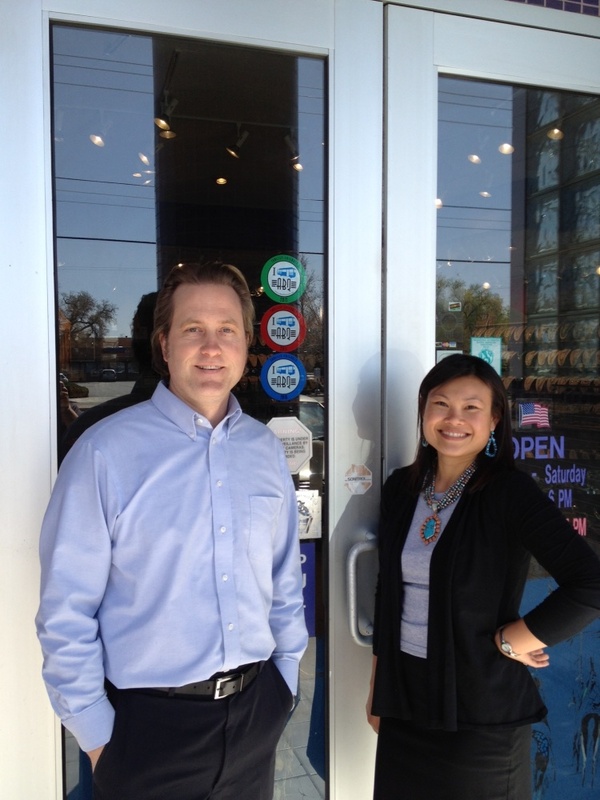 (Right) The staff at Gertrude Zachary Jewelry in Old Town proudly displaying their Trolley-Friendly decals.